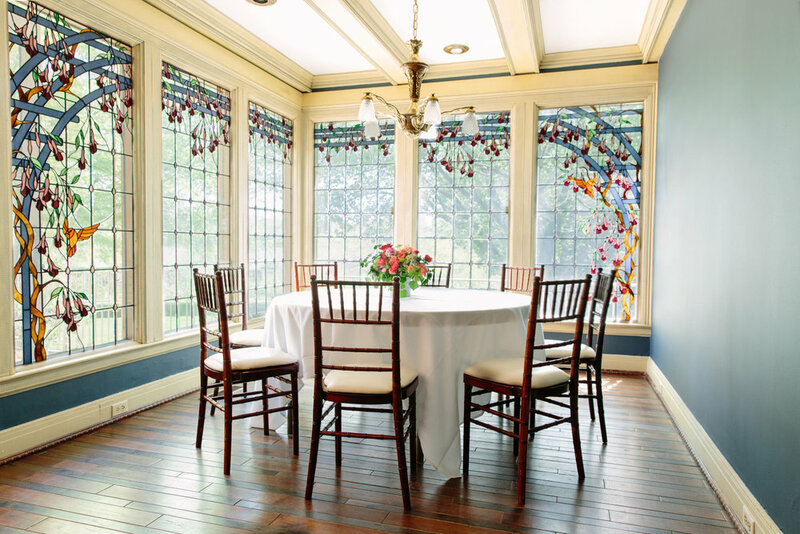 For those seeking a cozy, rustic, and intimate space for their wedding, Mosteller Mansion is an ideal venue. What’s more, we are happy to provide full use of our facilities for wedding receptions, meaning your entire day can be enjoyed here in our warm, romantic residence. Our catering team is available to prepare the wedding menu of your choice, and we offer an array of rooms that provide endless options for mingling or even for sit-down meals. Mosteller Mansion also has a full bar on its lower story, as well as balcony access for those who wish to make their receptions outdoor affairs. Our Maple Room is spacious enough to accommodate dancing, and we have plenty of outdoor space besides. Our front fountain and back stairs both make for pristine wedding photo spots, while our big, regal fireplaces bring warmth and elegance to any indoor wedding reception or get-together. To learn more about what our wedding and reception space can offer, we invite you to contact Mosteller Events at your leisure.